General Information - ddcaterings Webseite! Since the fall of 2003 “D. and D. catering” has provided food services to the Anglo-American School of Moscow. 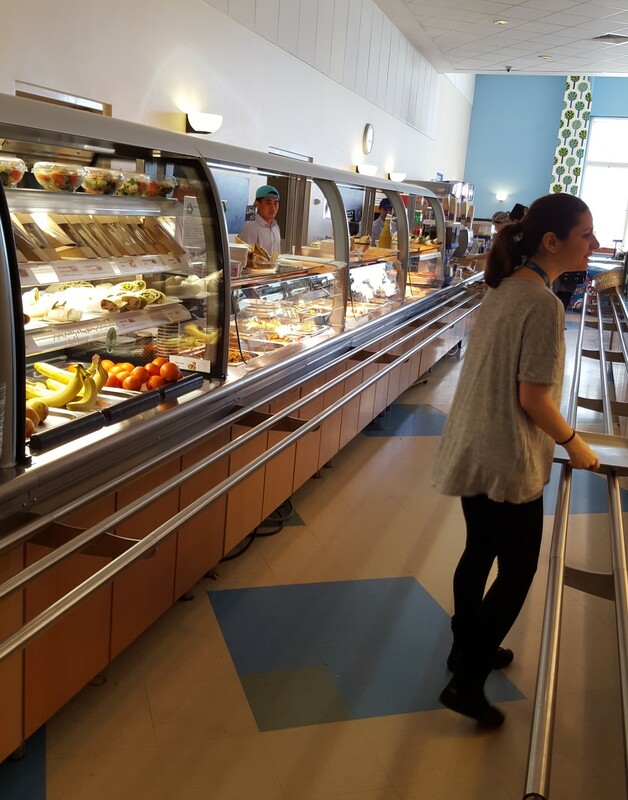 In the North Cafeteria we serve breakfast, lunch and snacks to middle and high school students, teachers and parents. We serve lunch in the South Cafeteria to elementary school students. and take lunches for Pre-K to their classrooms. Our team features 10 cooks, 12 service staff, 4 cleaners and 3 managers. Grades Pre-K to 5 students are provided a weekly menu with four meal choices. Choices of drinks and dessert, as well as fresh veggies, are included in each meal. How much is a meal? The price for a meal is 150 rubles. How do I pay? Cafeteria services for ES students are available in a prepayment mode only. .
Where do I find the menus? Weekly menus are available on the school website. The North Cafeteria is open from 07:30 to 18:00 on school days. 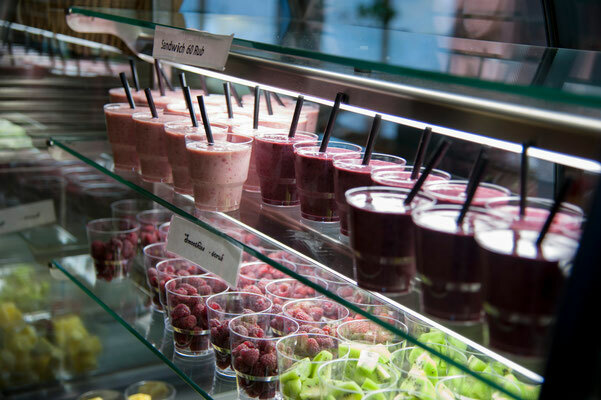 We serve breakfast, lunch, snacks, and beverages throughout the school day. Weekly menus are posted on the AAS website. Pizza slice 50 rubles, Hot lunch (90-120 rub), Soup 40 rub, Pastry 35 rub, Fresh juice 50 rub. How do I pay? You can either pay cash in Rublers or join the “Prepayment Plan” and put money on your badge. The badge is then scanned at the cashier and your account debited for the purchase. …are always welcome in the cafeteria! 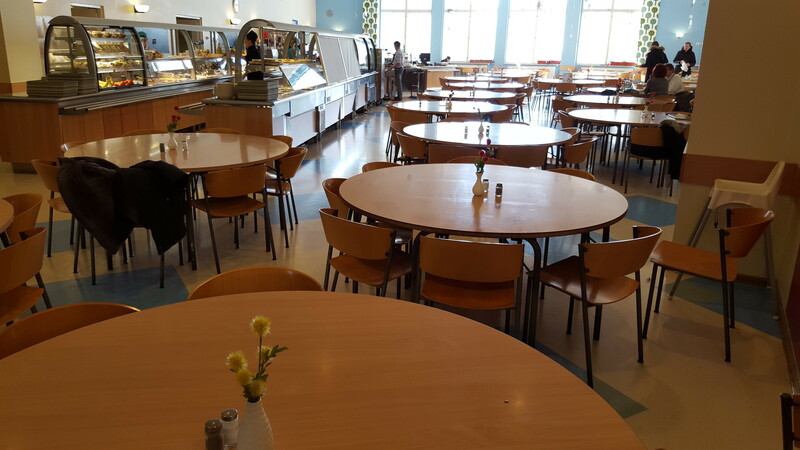 However, if you decide to have lunch during the rush hours (11:30 to 12:30), you might be asked to sit in the Faculty Dining Room as our students are filling the canteen to the top! Please note, as a further benefit to the AAS Community, the Cafeteria offers catering services for your private event, baked goods for your birthday parties, take-home pizzas for those ‘don’t-want-to-cook’ nights, pre-ordered Thanksgiving dinners, and lots more! Please contact us at cafeteria@aas.ru, or find Mr Kari Badibanga in the cafeteria.